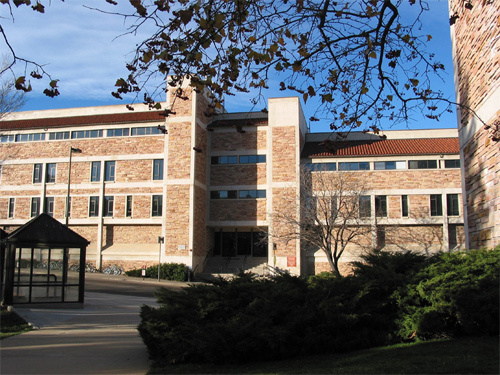 The Sutherland Center at CU is located in the Raimy Psychology Clinic, on the 2nd floor of the Muenzinger Psychology Building on the CU-Boulder campus. Bipolarresources.org is a part of the Sutherland Bipolar Center in Boulder, Colorado. Housed in the University of Colorado at Boulder’s Department of Psychology & Neuroscience (CU), the Sutherland Bipolar Center was established in 2001 with an initial gift from the Robert D Sutherland Memorial Foundation. Annual gifts from the Foundation and in-kind contributions from CU have sustained and expanded the Center. The Center’s Director is Alisha Brosse, Ph.D., a licensed clinical psychologist with over 15 years of experience and specialty in mood disorders. Treatment is provided by Dr. Brosse and master’s-level therapists who work under her supervision. For a complete staff listing, please click here. The Sutherland Bipolar Center’s mission is to provide expert psychiatric and psychological care to individuals and families with bipolar disorder who are unable to pay for services in the community. The Center offers a sliding-fee scale, with the majority of the treatment costs being paid with grants from the Sutherland Foundation. Center staff is also committed to educating the public about bipolar disorder and to training mental health professionals. The Sutherland Bipolar Center both diagnoses and treats bipolar disorder. The Center adheres to a comprehensive collaborative care model in which the bipolar person has continual input into decisions about his or her treatments. Treatment is tailored to the individual/family, but in all cases is heavily based on treatments with empirical support. Individuals who have either not been diagnosed or are not confident of previous diagnoses will receive a formal diagnostic evaluation complete with a written report. For individuals diagnosed with a bipolar disorder, comprehensive care can include individual psychotherapy, family psychotherapy, an educational seminar series, a skills training group, and/or medication management services. Determinations about what treatments are appropriate are made in partnership with one’s treatment provider(s) and are tailored to match a patient’s individual needs. For more information about these services, please click here. Since its inception, the Center has received nearly 1900 inquiries. At any one time, the Center is likely to have 30 active individual and family therapy cases and 6-10 patients enrolled in the weekly skills training group. Each year nearly 200 people attend at least one session of the Center’s seminar series. There is currently a waiting list for initial intake (about 1-3 weeks) and about 1-3 months for individual/family therapy. The Foundation and Center hope to be able to serve people more quickly as additional funding becomes available. The Sutherland Bipolar Center at CU currently serves older adolescents and adults of all ages. If sufficient additional funding becomes available, the Center will expand its staff to include providers with expertise in treating pediatric bipolar disorder so that individuals of all ages can be served. Community and student education is a central component of the Sutherland Bipolar Center’s mission. Center staff are available for speaking engagements sponsored by community organizations. The Center is also committed to training health professionals, which can include workshops and/or presentations. The Center’s work is also an important element of graduate students’ training. Advanced doctoral students in CU’s Clinical Psychology program can apply to work as therapists at the Sutherland Center. These students are closely supervised by licensed clinical psychologists. Through this training program the Center significantly increases the number of therapists in practice who have expert knowledge of research-supported therapies for bipolar disorder.